Following an initial batch earelier this week, Bandai Namco has released more new screenshots of One Piece: World Seeker screenshots. 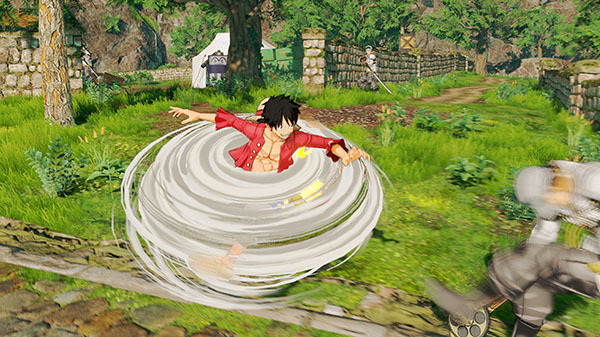 The screenshots showcase various actions, including Gum-Gum Rocket to fly through the sky and latch onto distance objects with Luffy’s stretchy arms before quickly moving towards them, high jumps, Gum-Gum UFO to attack several enemies at once, One Shot to sneak attack enemies from behind, powerful kick attacks, and Gum-Gum Gun to aim at a target from faraway and quickly snap towards them with Luffy’s arms. One Piece: World Seeker is due out worldwide for PlaySation 4, Xbox One, and PC in 2018. In Japan, it will only be released for PlayStation 4.